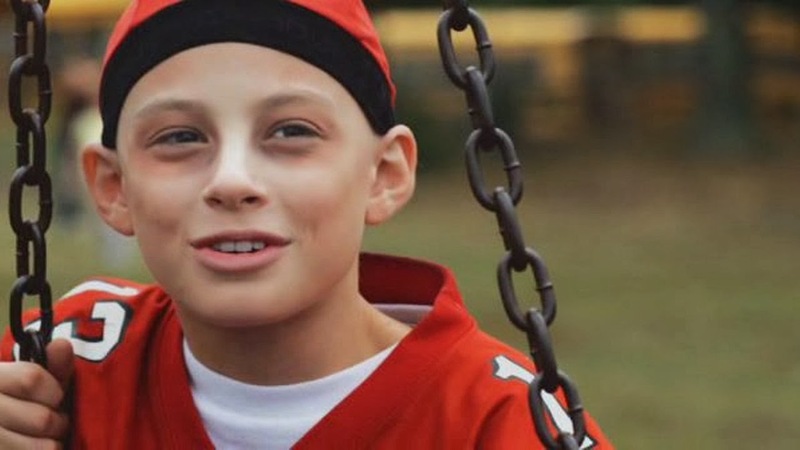 Johnny is a 2010 film about a ten-year-old foster child living in a group home. Johnny is perpetually cheerful in spite of the misfortunes life has thrown at him. 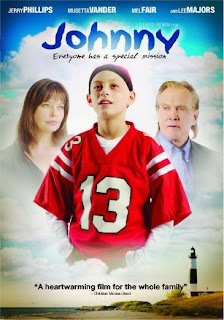 Influenced by a Christian staff member at the group home, Johnny views adversities as opportunities, believing that “God sends trials and tribulations to shape us.” Johnny soon deals with another challenge, though, as he is diagnosed with cancer. His oncologist, Dr. Carter, is also going through a difficult period of life. His son died in a car accident two years ago. Although he is trying to recover, his wife is still very depressed. Their nine-year-old daughter seems ready to find hope. How is This Relevant to Adoption or Foster Care? Johnny is a foster kid, and he represents some of the good qualities that help foster kids survive. He is optimistic, hopeful, and cheerful. I’ve seen these qualities in many of the kids that I’ve worked with. He’s also somewhat parentified, and seems to try to have a nurturing influence on his oncologist – this, too, is accurate sometimes. Johnny is never actually adopted – Dr. Carter takes Johnny into his home with the blessing of Johnny’s social worker, but against the wishes of Mrs. Carter, who is still grieving the loss of her son. Johnny’s optimism and hope reflect true, positive characteristics of many kids in foster care. This film does have the potential to challenge stereotypes. He does find a family, and they affirm that they are “proud” to include him in their family. The film shows that professionals working on a case (group home staff, social worker, surgeon) all can care deeply about the people they’re serving. I’ve known several instances where social workers or teachers have stepped up to provide a home for a child on their caseload in need. Johnny is able to verbalize his forgiveness for those who have wronged him. Johnny is an overtly religious film, which will probably be a strong draw from some viewers, but a deterrent for others. Johnny’s spiritually-driven optimism is a somewhat mixed bag. He seems to almost only ever acknowledge good feelings, and even in his grief he is concerned about others. Mrs. Carter is portrayed as kind of a villain when her grief fails causes her to work against Johnny moving in with her. While there is definitely value in taking a hopeful outlook on life, it’s important to know that kids (and adults) need permission to grieve and process their difficult feelings. Johnny also seems to view his life as being mission-centered around bringing God to other people – there’s value in this, I believe, but again – I think it’d be easy for kids watching this to perceive an unintended message that they shouldn’t take care of their own feelings and needs. Johnny’s rapid placement in the Carter home, without the foreknowledge of Mrs. Carter, is unrealistic at best, and would represent really poor social work. The film runs the risk of communicating inaccurately about the process of taking in a foster child. Want to know more about the process? Mrs. Carter is quite cruel to Johnny on some occasions. People sometimes are that way to kids in foster care, but it’s still sad to see. There are some touching scenes in Johnny. It’s also a fairly positive film, and so it’s strange to say that I’d really only recommend it for adults. Kids might get some unhelpful messages from Johnny’s selflessness. Also, there’s another aspect of the film that makes it probably a bit too sad for kids who would identify with Johnny. For the adults who watch it, though, it is a positive portrayal of the heart of a kid in care, and it is worth seeing. How do we help kids in foster care (and ourselves) find the balance between selfishness and selflessness? Caring for others is important, and so is self-care. By the way, I added a way for you to subscribe for free to Adoption at the Movies by email. A new review comes out every Tuesday - make sure to catch them all! Sign up today on the top-left corner of the page! And if you're new here, check out all of our adoption movie reviews!